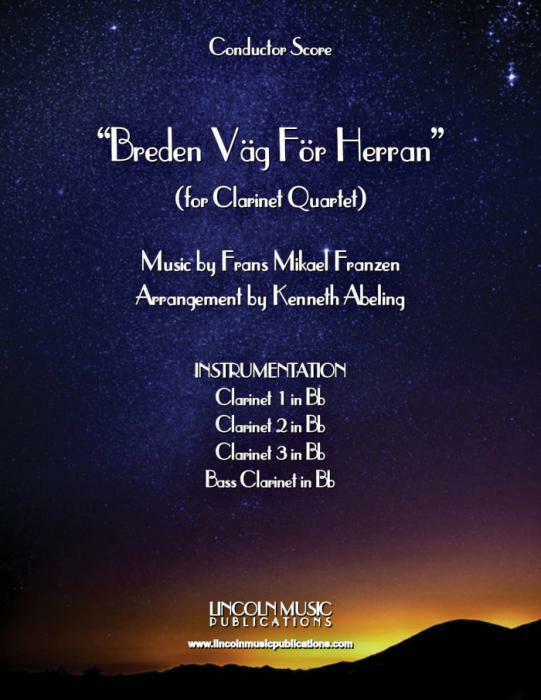 “Breden Väg För Herran” by Finish composer Frans Mikael Franzen arranged here for Clarinet Quartet. This hymn is the basis for and can be used for instrumental versions of “Prepare the Royal Highway”, “Prepare the Way to Zion” and “The People Who in Darkness Walked”. This piece has several performance applications throughout a traditional Christian worship service particularly during Advent. The Organ part is optional but adds a nice touch if available.